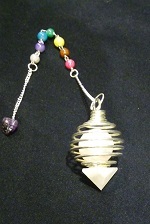 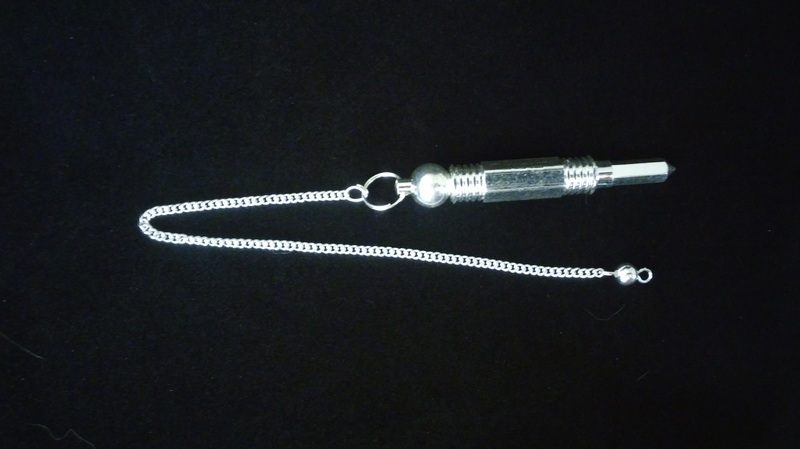 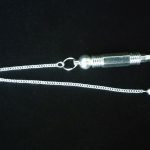 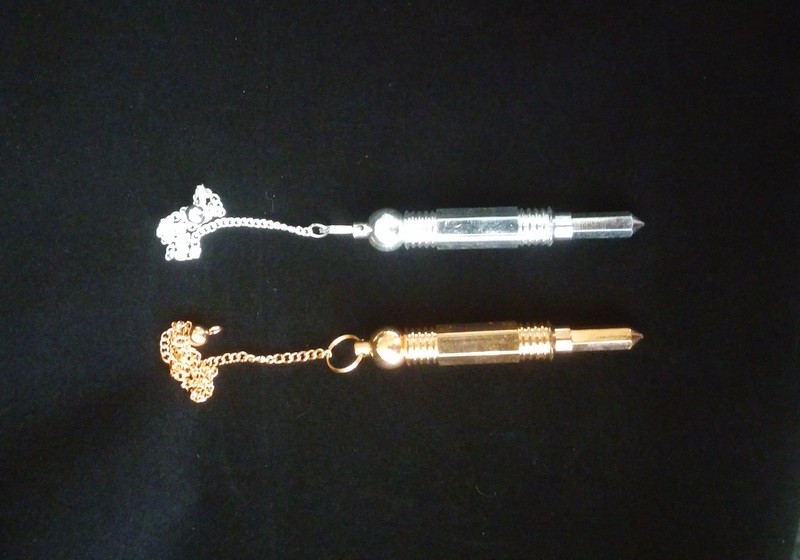 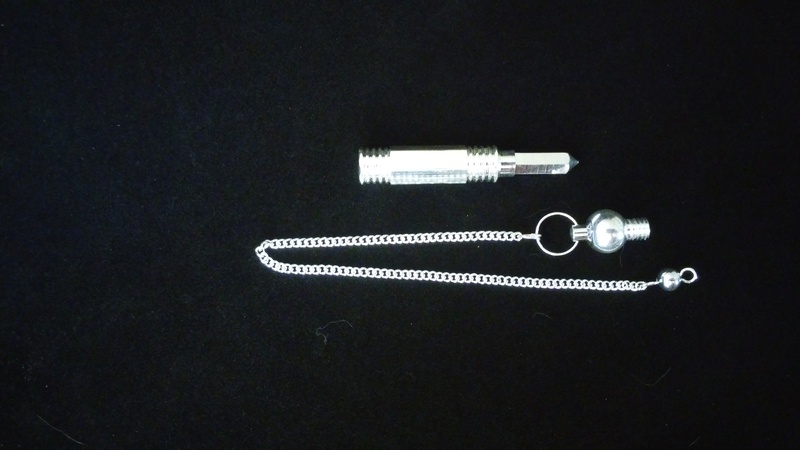 Silver color hexagon pendulum, removable screw top with a small chamber inside. 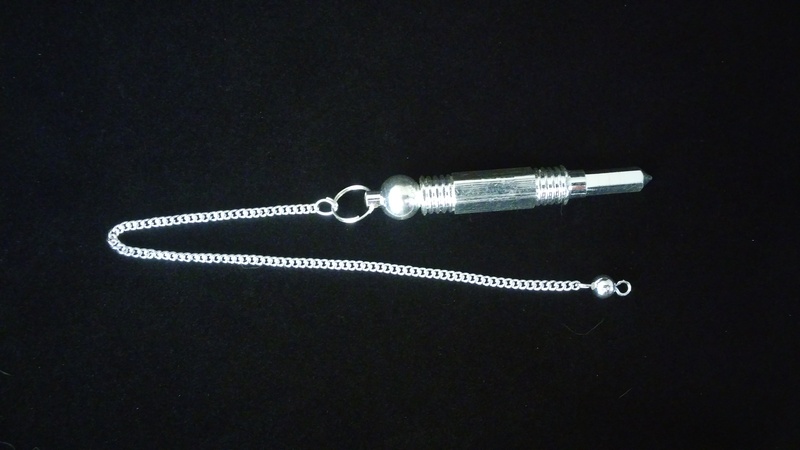 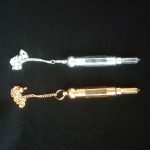 Pendulum is 2 3/4 long, 3/8 inch diameter. 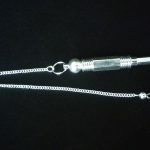 Total length with chain is 10 1/4. 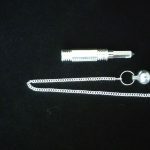 Round bead end with a top loop.